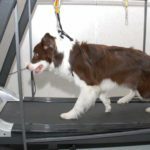 We all know walking is the best exercise for our dogs. But what can you do when the temperatures drop and the wind howls? 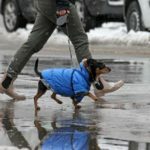 Winter can make walking dangerous for both you and your pet. To stay safe, consider using these seven winter dog-walking safety tips. 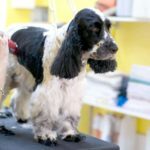 The hair between the toes of the dog should be clipped short to ensure comfortable walking during winter. Ice can pile up on that hair and cause discomfort or even lameness. Another option, use boots to cover your dog’s paws to protect the dog from many other winter hazards like chemical ice melt. Although regular walks are crucial, you might want to cut the time you both spend in the frigid air. 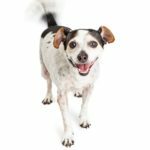 If you cut your walks, consider supplementing them with other indoor exercises to keep your dog happy and healthy. 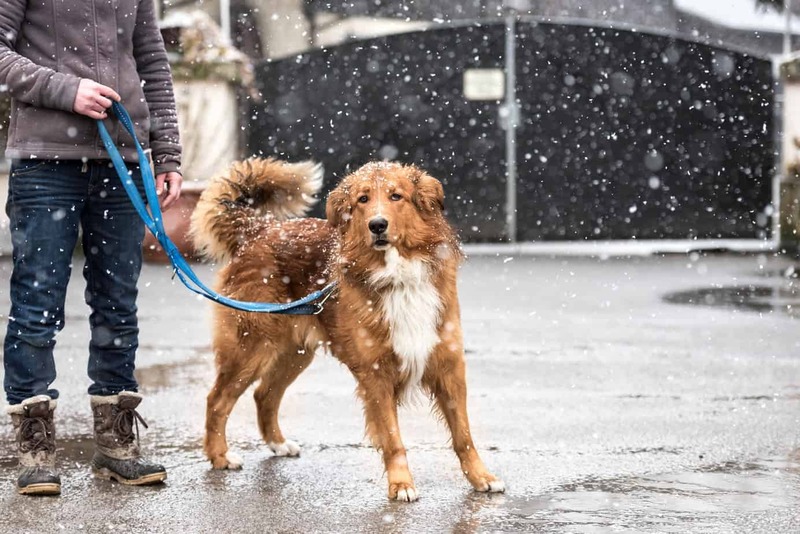 During winter, visibility is reduced; so if you are not walking your dog on a leash and there is a heavy snowfall, a dog can lose your scent and get lost. The leash also provides protection around danger spots including heavily-traveled intersections or frozen lakes or ponds. Every year dog owners put themselves and their pets at risk when dogs run out on ice that isn’t stable. If this happens, don’t go into the frigid water. Call for help and try to keep your dog calm. Cleared sidewalks and driveways might seem like good places to walk when there are ice and snow but beware of potential chemical dangers. Antifreeze and ice-melting chemicals are dangerous. 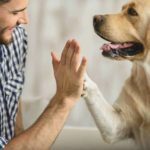 Both can be fatal if ingested and ice-melting chemicals can burn your dog’s paws. If your dog won’t wear booties, be sure to use a warm cloth to wipe their paws when you return home. Another option, coat your dog’s paws with a balm like Musher’s Secret before you leave the house to protect his paws. 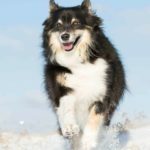 Frostbite is a serious threat to pets. Pay attention to the footpads, ears, tail, and nose because those are the sections where frostbite can occur. Skin that is frostbitten becomes pale, hard and cold; it can even become red and puffy as it warms. 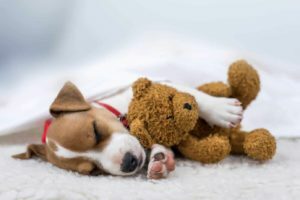 If you notice that your puppy refuses to walk, then it could be because of frostbite. If you think your dog is just cold, put a warm cloth on the affected area and then cover it with a blanket. Do not allow your dog to scratch or lick the affected area because that might cause infection. If you think your dog has experienced frostbite, consult with your veterinarian. Clothes might look awkward on pets but they are really helpful, too. Some pets have fur that helps to withstand the cold weather and others don’t. Coats or sweaters protect your dog from the cold weather and also can keep your dog from getting wet in snow or rain. The clothing provides additional insulation to keep your dog warmer for longer. During winter, the daylight hours are shorter and there is not much sunlight. To make sure you and your dog are seen by passing vehicles, wear reflective clothing. You can even use a reflective collar or leash to make sure you’re more visible. You also can clip a lighted beacon to your dog’s leash or collar to provide to make him more visible. Snow and ice make it difficult for drivers to stop, so be sure you’re aware of nearby vehicles to keep yourself and your dog safe. Winter poses serious threats to pets. Since it is necessary for dogs to go for walks, use these winter dog-walking safety tips to keep your pet well, cozy and safe. Rachel Hudson owns two dogs and enjoys reading and writing about dogs. A few months ago she started a new project, which keeps her very busy.